Now is the time to lead from a deep understanding of cycles and rhythms. Becoming a Lunar Facilitator will enrich your practice and help you develop your own language for how you share lunar wisdom. This training will give you a framework use the New Moon Calendar Journal with groups and individuals. My hope is that you serve others to develop a personal relationship to each phase of the moon to embody their cyclical nature. This training is for women who want to develop capacities to help others weave lunar wisdom into their life for personal growth, healing, and transformation. The four Modules develop the themes of: Rhythm, Relationship, Release, and Radiance. These are designed to teach you how to connect with the moon throughout the whole cycle as a practice of awareness and presence. This training is a long time in the making, and I am so excited for you to be a part of it! Thank you for your interest in the Moon Guide Facilitator Training! "Tracking my moods and cycle have been life changing. It has allowed me to see and tune into my feelings and when I need some extra self care and love." "It's pretty incredible the way the moon's energy affects me; it's not something I truly anticipated when I started journaling. I discovered that I become incredibly irritable and short with others in the handful of days leading up to a full moon. I focus my meditative practice during that time to channel my energy towards being empathetic and patient." "I am beginning to see that the intentions I set can manifest when I attend to them. Life really is a garden!" "I am very hard on myself. I feel like I'm never doing enough or making any progress in the things I want to do. Through using the new moon calendar I have realized how much I go through in a cycle. I am giving myself more credit for what I do accomplish and am learning to be kinder to myself when my goals need more time. I have also seen how much of my energy I give away to others and have been making more space for what I need to nourish myself." "At the end of the cycle I seem to automatically know what the next cycle will be "about". I've journaled for years, but it's so nice to tie it into my own natural rhythms like this. It's way more meaningful that way!" Becoming a Lunar Facilitator will enrich your practice and help you develop your own language for how you share lunar wisdom. 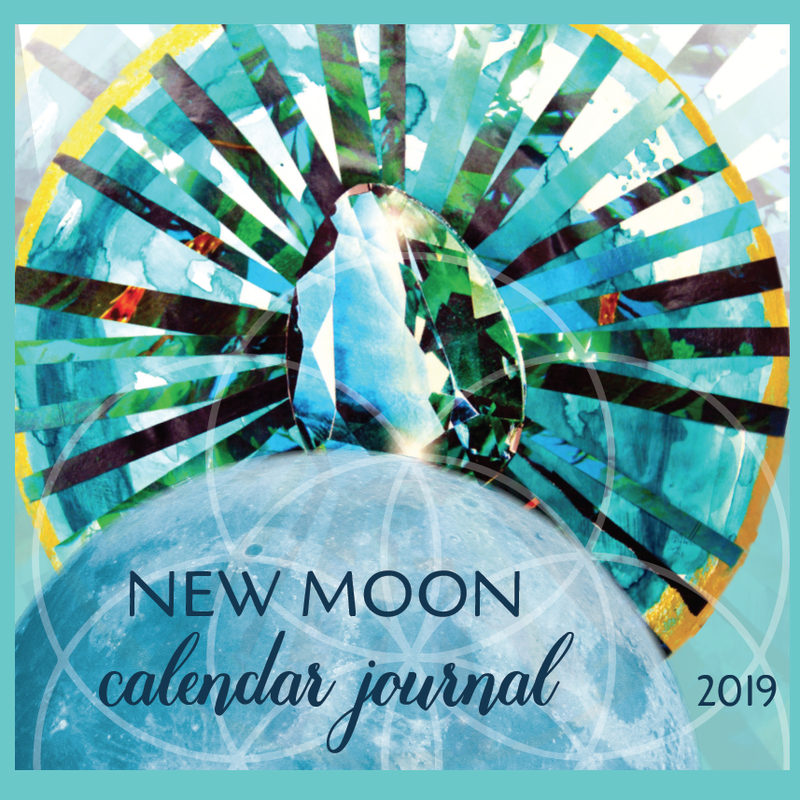 This series will give you a framework use the New Moon Calendar Journal with groups and individuals. I know you are already skilled at what you do! You are probably a life-long learner like me and have participated in many programs and trainings. This facilitator training is designed for the personal and professional growth of teachers, catalysts, activists, stargazers, artists, doulas, grandmothers, herbalists, daughters, anyone who mothers in some capacity, healers, yoginis, crafty folk, seekers, entrepreneurs, community beacons. This is an offering for you and all radiant lunar beings who have a deep desire to bring lunar wisdom to their personal and professional life. Uplifting others as you rise to your radiance.